NO SMOKING ALLOWED. Well behaved pets accepted +£50 per pet. 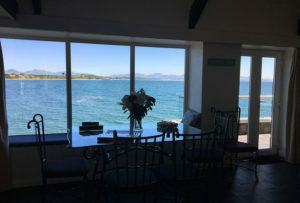 Bookings are from Sunday until Sunday. 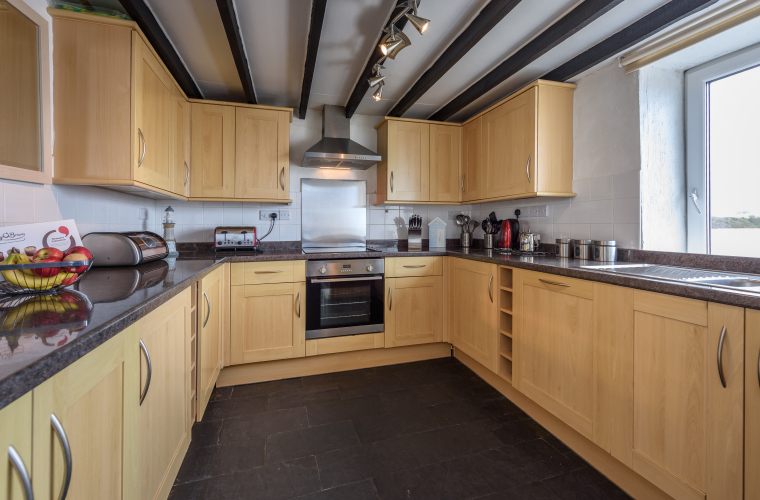 The property is available for arrival after 3.00pm and should be vacated by 10.00am. 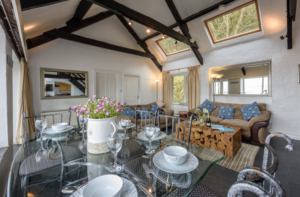 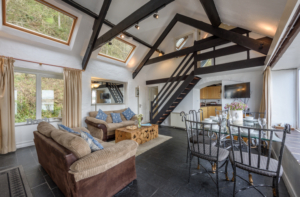 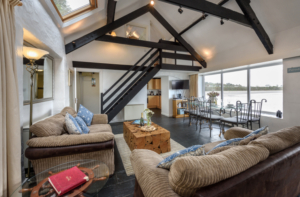 Short breaks available – Please contact us for details and prices. 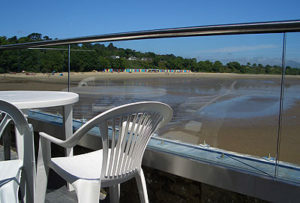 (Photos taken prior to renovation). 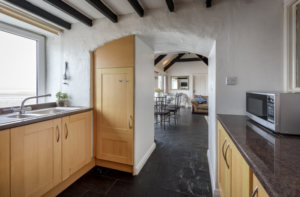 The Three Bedroom Cottage consists of a lounge / diner, three bedrooms (containing double beds) and kitchen containing cooker, fridge, freezer, washing machine and tumble drier, microwave and dishwasher together with an en-suite to the master bedroom and further family shower room containing a shower, WC and sink. All bedding, towels and household bills are included in your holiday price. With parking for three cars and literally miles of walking directly on your doorstep there is something for everyone at ‘The Boathouses’. 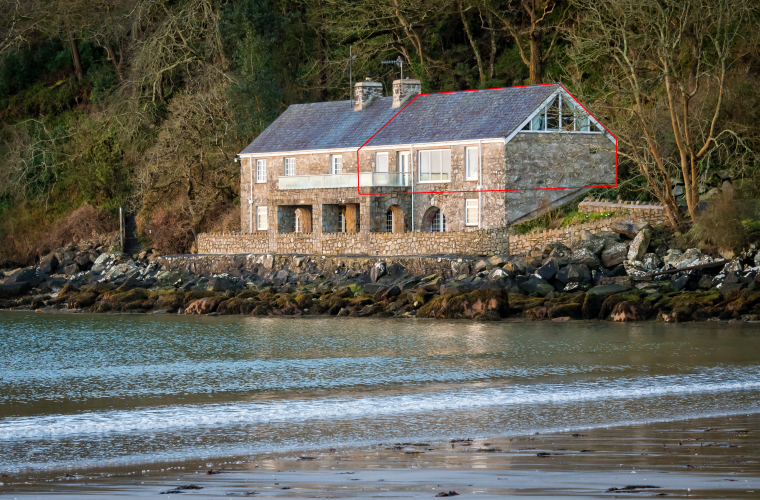 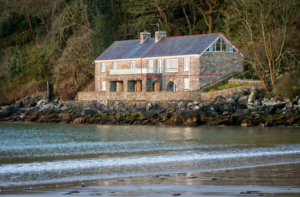 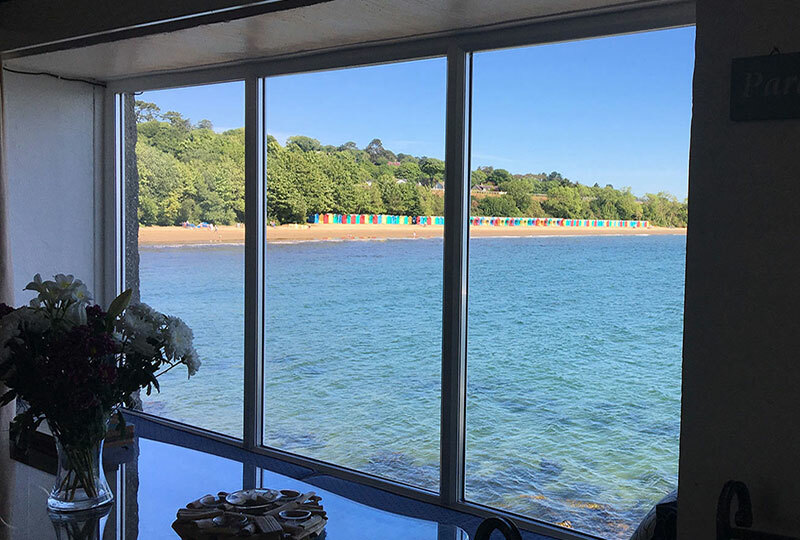 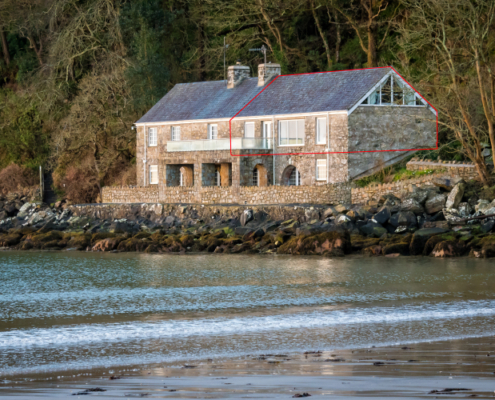 For those of you not familiar with Llanbedrog, or the Boathouses, the accommodation offered is one of three cottages contained within the property, the Two Bedroom Cottage and Three Bedroom Cottage at ground floor level and the lower ground level Tide’s Reach Cottage. 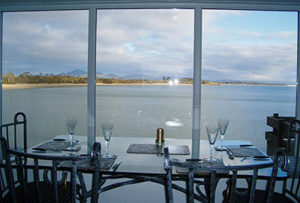 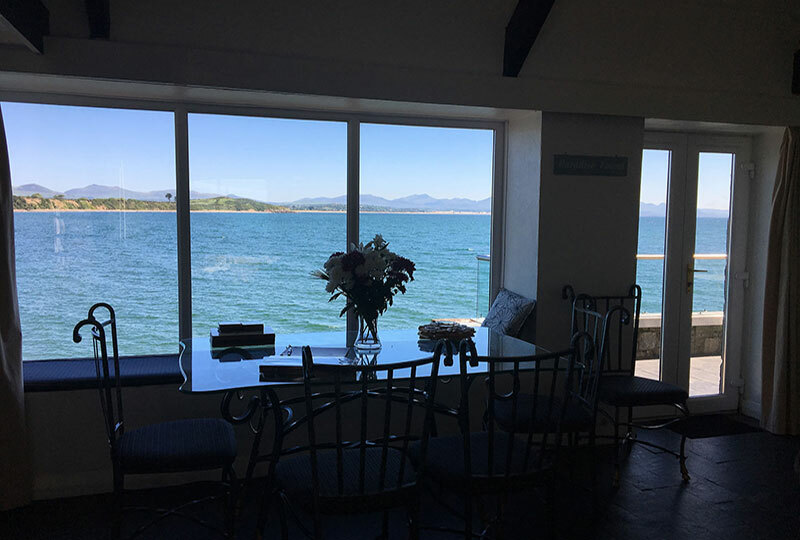 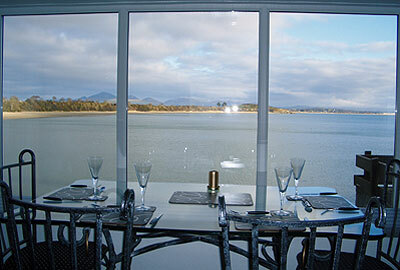 Most rooms offer fabulous views of the beach and Snowdonia Mountain Range.